Those who love Mott The Hoople love Mott The Hoople with all their might. This film is for them. Chris Hall and Mike Kerry’s documentary takes us back to the time before there was a Mott, describing how The Buddies and The Soulents merged to create a new entity, how the group came to the attention of mercurial producer Guy Stevens and how the rest became the ballad of Mott The Hoople. It was Stevens who suggested that then-vocalist Stan Tippins get the ol’ heave-ho. Enter Ian Hunter (a few years older than the other lads) and enter one of the most interesting eras in British rock music. Stevens, more a cheerleader and catalyst than an actual producer, oversaw the sessions for several of the band’s early albums, including the dark Mad Shadows (1970) and the 1971 classic Brain Capers, and the memories shared of him her mostly carry a waft of kindness that the passing of time often brings. But the studio was not really where the band thrived. The place to really hear Mott The Hoople was the stage (Clash guitarist Mick Jones was an early convert, and he testifies with enthusiasm to Hunter and Co.’s live prowess). The group’s records sold slowly and no one could really seem to settle on a direction early on. By early 1972 the group decided to pack it in. Enter David Bowie who convinced the band that they should soldier on; he also gave the band its biggest hit, “All The Young Dudes”, and produced the 1972 album of the same name. Success saw a rift grow in the ranks resulting in the departure of Mick Ralphs (who went on to form Bad Company) and Hunter’s ascent to leader of the band. From there, the end came rather quickly, amid the strains of touring and band politics; no one seemed a good fit after Ralphs (ex-Bowie guitarist Mick Ronson apparently refused to speak to other members of the band) and thus the end came perhaps sooner than anyone expected. What isn’t told in the film is how the group attempted to soldier on without Hunter under the name Mott, then as British Lions. A beautiful documentary about a beautiful guy. There will be no doubt left in anyone’s mind after spending 90 minutes with this film that the original Spiders from Mars guitarist was an overlooked and underappreciated player in the rise to prominence of David Bowie. The Hull, U.K. born and bred musician was a classically trained arranger and pianist as well as a phenomenally talented guitarist. His contributions to not only Bowie’s early efforts through Pin Ups, but Lou Reed’s Transformer album and work from artists as diverse as Bob Dylan, Elton John, Ian Hunter and Morrissey are generally undervalued, a fact attested to by a litany of talking heads. Fascinating and often rare footage, along with testimonials from family, friends and associates, paint a remarkably vivid picture of a talent who was best at supporting others. When his management tried to make him a frontman after the dissolution of the Spiders, it failed miserably. No, Ronno (as his friends nicknamed him) was the ultimate sideman, the Keith to someone else’s Mick, and it was in that role that he felt most comfortable. As the movie’s title suggests, the bulk (about an hour) of the film follows his association with David Bowie. But the final 30 minutes is just as important, and often unnerving. For all his musical talents, Ronson was horrible at managing money, and even during his short 18-month Spiders from Mars stint with Bowie that found the band graduating from clubs to arenas and worldwide fame, he was never compensated appropriately for his substantial, and ultimately historical, artistic contributions. That continued until the end of his life, cut short in 1993 at 47 by liver cancer, as he often lived paycheck to paycheck, eventually leading to his wife asking others for financial assistance. The milestones and specifics of his relatively brief career can be found online, but this film succeeds because of the loving tributes from the people that knew him best, and most importantly by two fascinating interviews with Ronson interspersed into the timeline. 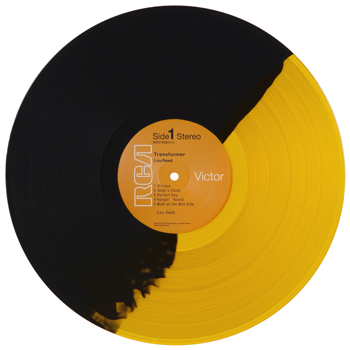 Anecdotes from his management, Lou Reed and not surprisingly David Bowie, along with Bowie’s ex-wife Angie, help paint a colorful portrait of a guy who never achieved the fame or respect he clearly deserved. And while there are extensive interviews with producer Tony Visconti, Ian Hunter and pianist Mike Garson (Ronson hired him for Bowie’s band), his association with Bob Dylan with whom he toured as part of the Rolling Thunder Revue, is practically ignored. And his work with Roger McGuinn (Ronson produced 1976’s Cardiff Rose) is completely snubbed. It would also have been helpful to hear from Morrissey, whose Your Arsenal release Ronson produced, but he too is MIA. While this might be a few decades too late in appearing, we’ll add it to the better-late-than-never bin. 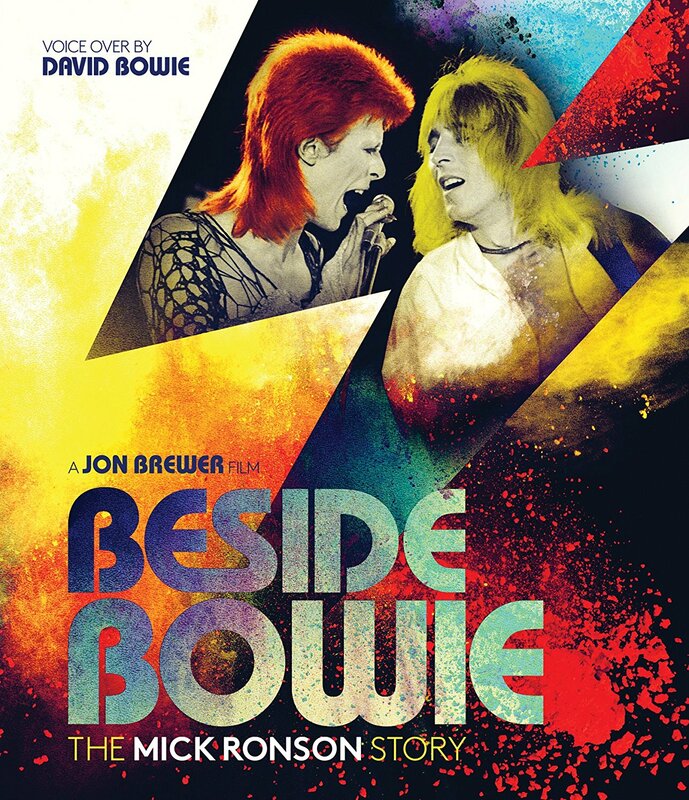 We can now rejoice in a lovingly-constructed documentary on a guy who, despite being in the right place at the right time, hasn’t been given the reverence, nor financial rewards, his significant contributions to Bowie and others should have provided.